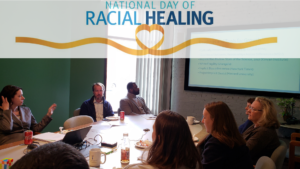 Public Policy Associates, Inc. (PPA) celebrated the National Day of Racial Healing today (January 22, 2019). The W.K. Kellogg Foundation established the day in 2017 to help highlight both the racial divisions that still exist and to connect us all in our shared humanity. PPA’s core values include not only excellence in research, but also delivering research that recognizes the influence of racial and ethnic history within our social systems. Our staff will meet today to discuss implicit bias and how we are growing as individuals and professionally through reflective practice. For more information about PPA’s past and current work relating to equity and justice please refer to our website.